This mod only does two things: increases the length of time enemies will hunt for you, and increases the range over which they will detect and follow you. Designed for maximum compatibility. This mod only does two things: increases the length of time enemies will hunt for you, and increases the range over which they will detect and follow you. Designed for maximum compatibility - by only tweaking these two factors, and not touching skill buffs,light factors, sound, companions, traps, etc., it should work alongside any set of mods you want to use to tweak your game. It was designed for stealth use, but affects all forms of combat, greatly increasing the number of unscripted events, especially outdoors. I have added an optional version with lower numbers for a less gonzo experience. Here are some numbers: Enemies will hunt for you twice as long in "alert" status or "lost" status - that is, after they detect you but before they find you, and after you have escaped but they are still looking for you. 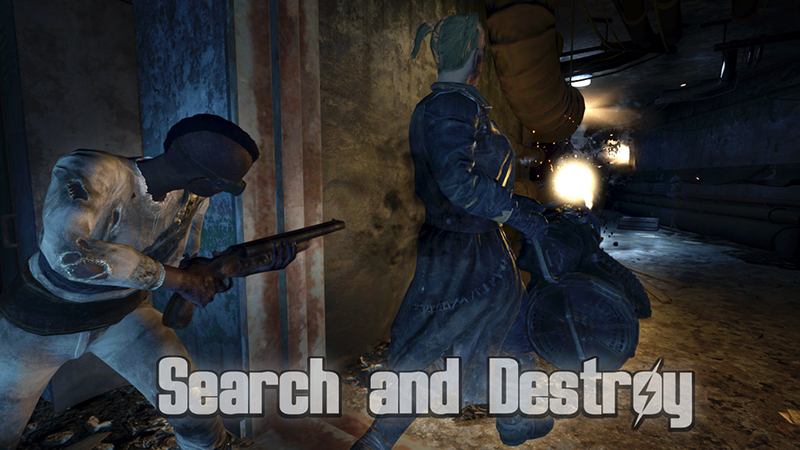 In combat, the search time is tripled. By extending the range they can detect you to about 150% of vanilla, they will search both longer and over a wider area, meaning you have to go further to hide and you'd better be well hidden. No more ducking behind a corner and waiting thirty seconds. Outdoors, enemies will spot you before they show up on your compass if you have low perception, especially in broad daylight. (Now Hancock's "sitting duck" complaints will be accurate!) Indoors, they will hear you shooting it out with their friends and join in, instead of standing calmly twenty feet away. They will chase you down flights of stairs and snipe at you from afar. It should be noted that these effects will happen whether you are sneaking or not, making for some interesting gameplay situations, especially in flat, open land. Settlers will spot ghouls lurking outside the farm and chase them, instead of just asking you to do it. Supermutants will snipe at you while you're sitting by a campfire. Assaultrons will sucker punch you while you wrangle with radroaches. It adds a pleasant unpredictability to things. This has been tested extensively and is compatible with pretty much anything except the stealth module of Arbitration, which sort of does something similar but in a different way, and changes other things that this mod does not touch. All the other stealth mods currently available should be compatible. Made with FO4edit, of course. It's extremely small, lightweight, and script-free. Should uninstall fine, but I would recommend saving in an area with no hostiles present first just to be safe. I highly recommend you use a darker night and/or darker interior mod too.